The reserved housing units are completely sold out. In the event of a cancellation the person that was next in line on the initial lottery will be called upon. If you're looking for another affordable housing housing opportunity. 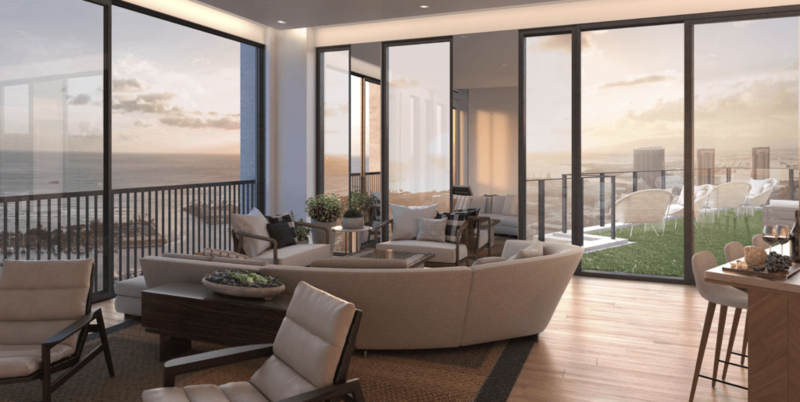 Take a look at The Central Ala Moana. 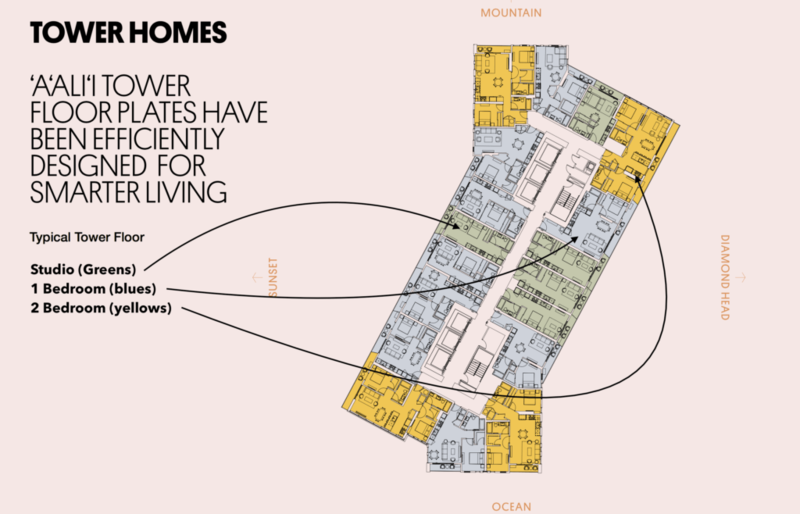 Affordable housing is slightly different from Reserved Housing. Read up on some affordable housing FAQs here. 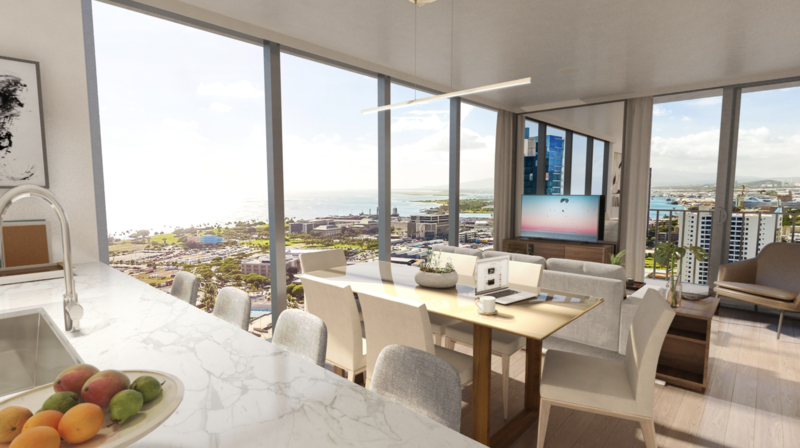 Project sales have been a huge success at 'A'ali'i with almost 60% of the building already sold. 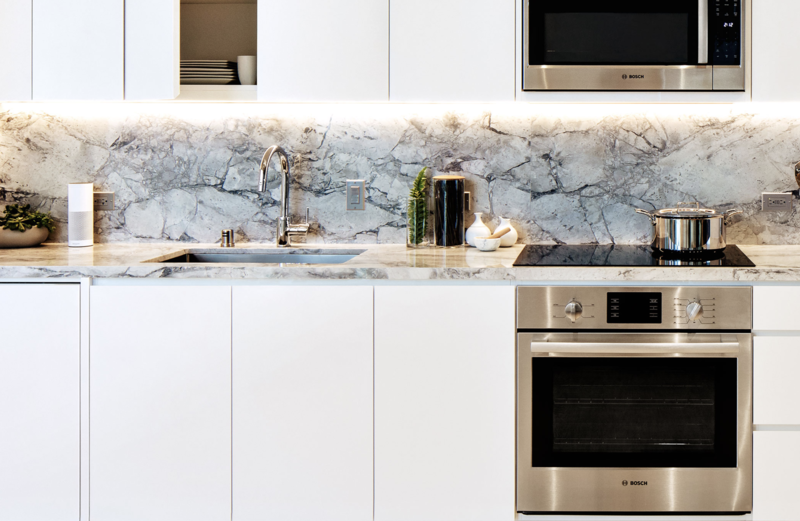 The developer recently built out three model units so buyers can get a feel for the space and see some of the finishes. 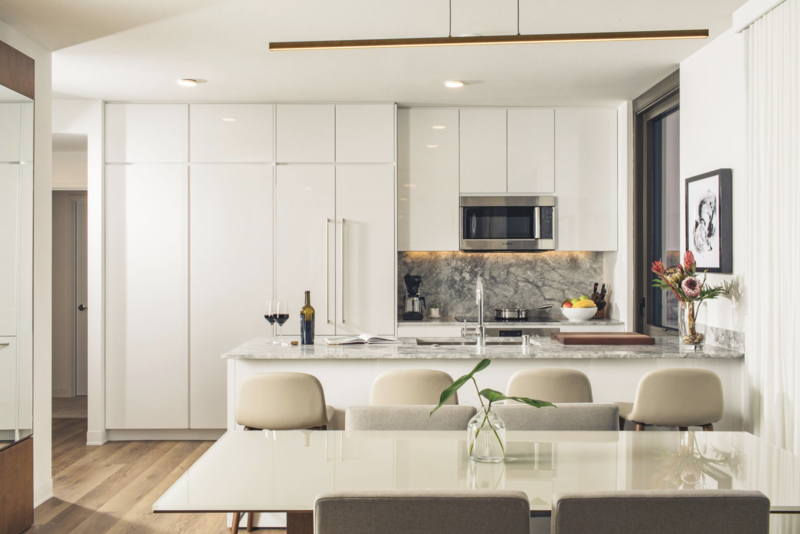 All three model units are completely furnished and feature furniture from the packages that Howard Hughes has on offer. in other worlds, the furniture you see is the furniture you get, if you want it. Sign up for a tour today! 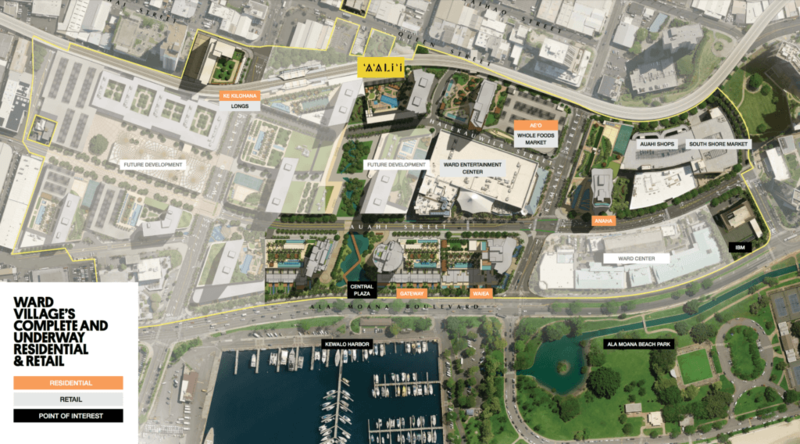 Aalii will be Howard Hughes’ 6th building in Ward Village. 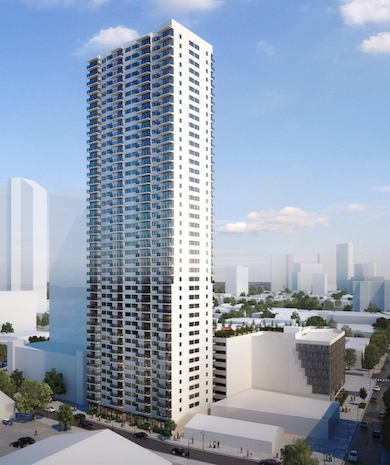 Built on Block N adjacent to Ae’o, Aalii will feature 751 units, 150 of which will be designated for reserved housing. 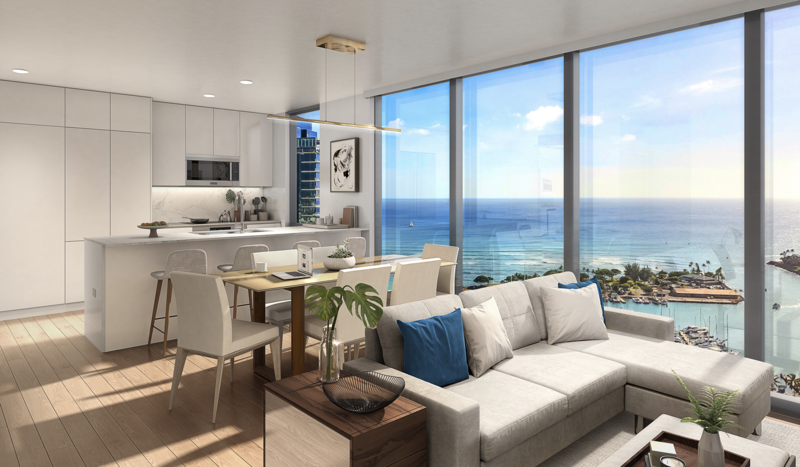 Howard Hughes looked at sales trends from the other buildings within Ward Village and realized there is great demand for smaller lower priced units. 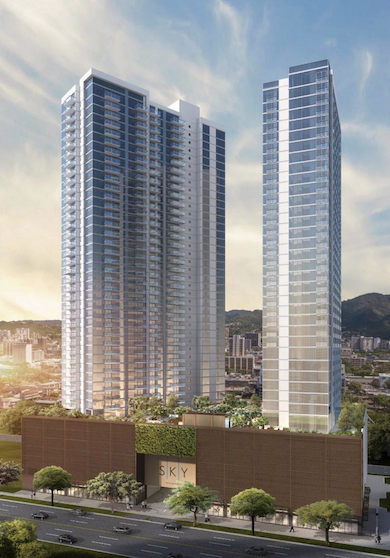 With Aalii, studio, one- and two-bedroom units will be offered. 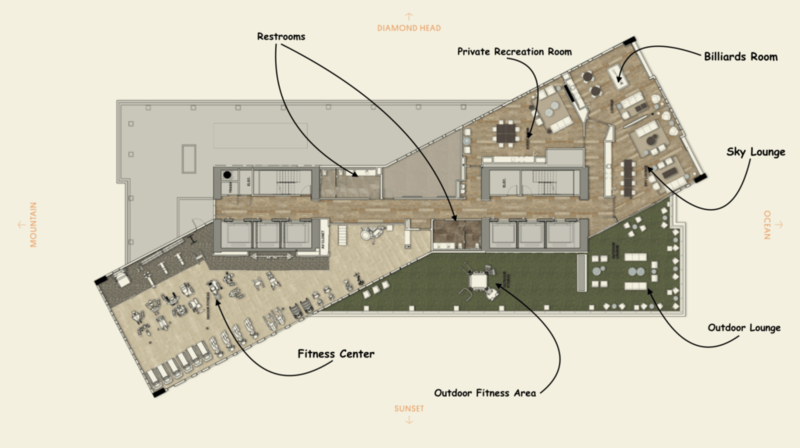 900 square feet will be the size of the largest unit available and 300 sq.ft. will be the size of the smallest studio. The tower was designed by San Francisco’s Solomon Cordwell Buenz, the same architect that designed Anaha, with local partner Ferraro Choi and Associates Ltd.. 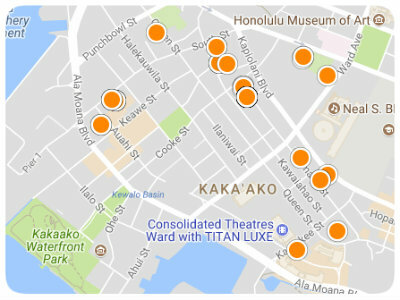 The project site is located adjacent to Honolulu’s future railway and roughly 0.2 miles from the Kakaako rail station. 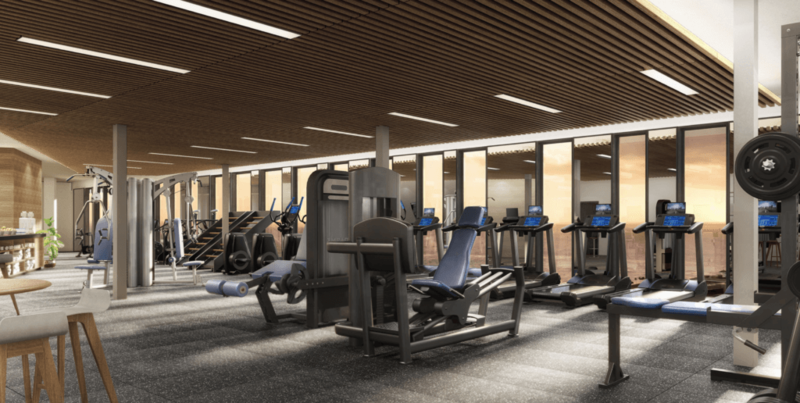 With just under an acre of recreation space, amenities will include barbecue cabanas, an adult swimming pool, kid’s pool, fitness centers, a playground, private rooms and lounges. 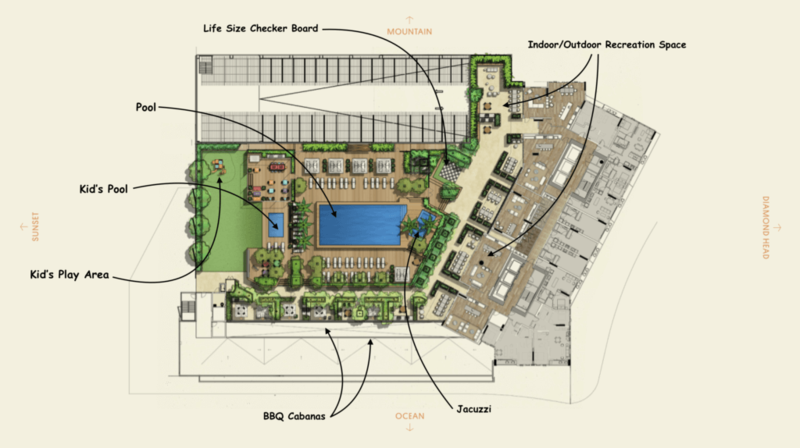 Learning from other buildings in the Kakaako area, Aalii will have close to 10 BBQ cabana areas. Some of these BBQ areas will be indoor outdoor for larger get togethers utilizing the year around great weather Hawaii has to offer. There will be a “sky deck” recreation space and fitness center located on the 42nd floor (pictured above). Aalii will include secure resident bicycle parking and storage on the ground-level and exterior retail bicycle parking near retail areas. Ground-level amenities will include a resident’s dog park occupying approximately 1,940 square feet as part of the pet-friendly design. Many of the smaller studio units, and perhaps some of the largest units, will have built-in furniture. Furnishing smaller units so that the space available is used efficiently is always a difficult task. 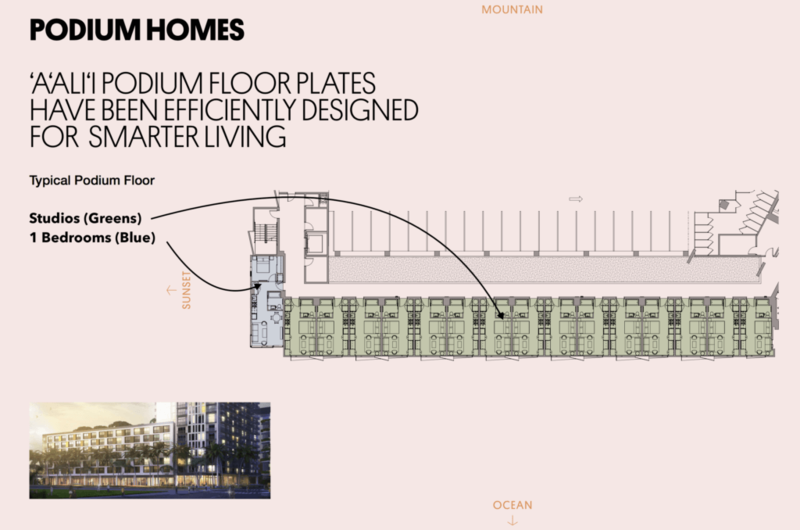 Howard Hughes will design the space so that it flows in the most efficient way possible making life as comfortable as possible for residents. I’m not sure if the built-in will be an option after purchasing or if all of the units will come this way, details will be released prior to launch. Below you can see the two photos featuring the transforming furniture. When you’re alone or not entertaining guests you can keep your bed down with a great desk to work on, by night it transforms into a small table for intimate dinners and get togethers. One cool unique feature that Aalii will have is it’s very own App. Reserving a BBQ cabana. 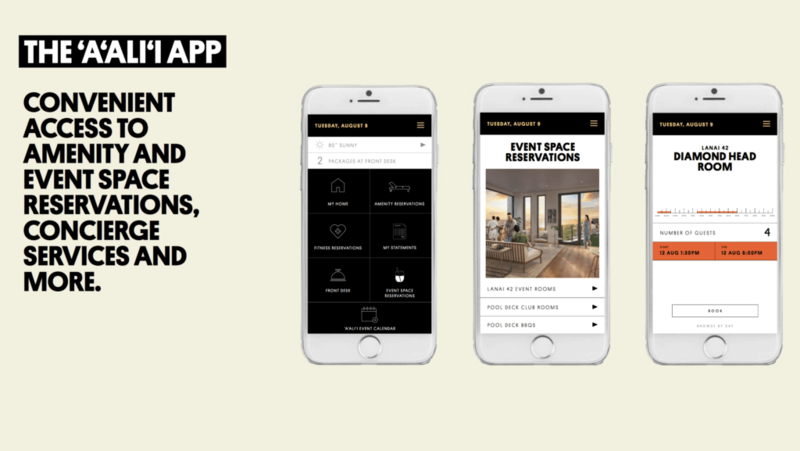 checking availability on recreation rooms, or contacting concierge is that much easier from the palm of your hand, very COOL! Although individual floor plans have not been released, here is a rendering of the floor plate of the tower. If you scroll to the bottom of the page there is a photo that will open much larger so you can see some details of the individual units (individual floors plans are subject to change).